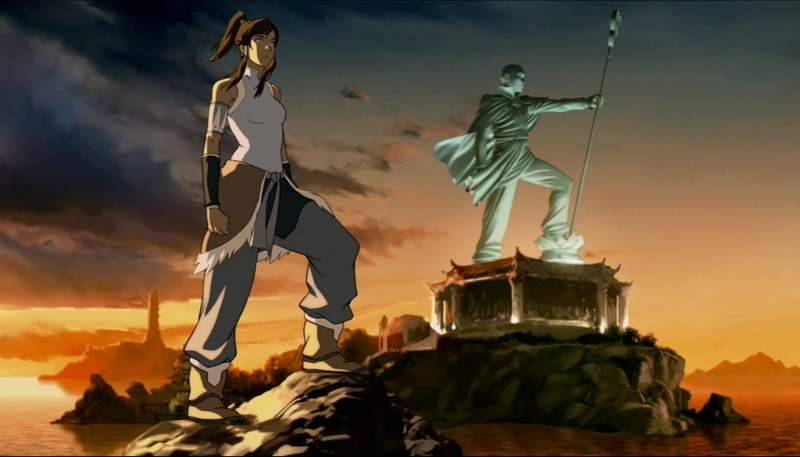 The Monthly Legend of Korra Review: And so it begins! Welcome everyone! This is AttheBuzzershow.com’s monthly review/summary of what’s happened in The Legend of Korra! Every month I’ll be looking back on the adventures of Korra and her fellow Fire Ferrets as they struggle to keep peace in Republic City. If you haven’t been keeping up with the show, then what are you waiting for!? Swing by Nick.com and give them a look see! [Please note that at the time of writing this episode 4 still wasn’t available on their official website.] Or do what I do and watch them through iTunes! This month I’ll be covering the episodes “Welcome to Republic City“, “A Leaf in the Wind“, “The Revelation” and “The Voice in the Night“. 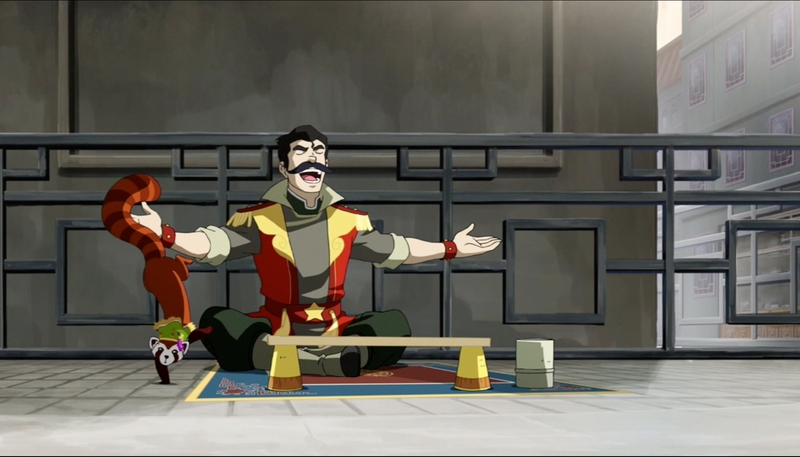 After storming off and watching a Pro-Bending match Korra meets her version of “The Gaang”, Mako and Bolin. Members of the Fire Ferret team, and soon to be teammates of Korra, as she decides to join them in a fit of rebellion. Only to quickly realize that even in such a “straightforward” sport her headstrong nature is a weakness to herself and her teammates. After getting more than her fair share of penalties and being easily picked off by the opposing team, she finally swallows her pride and takes Tenzin’s teachings to heart. “Be the Leaf”. And she does, finally using the evasive and mobile techniques of an airbender to turn to tide of the match and clinch a spot for the Fire Ferrets in the upcoming Pro-Bending Championship. 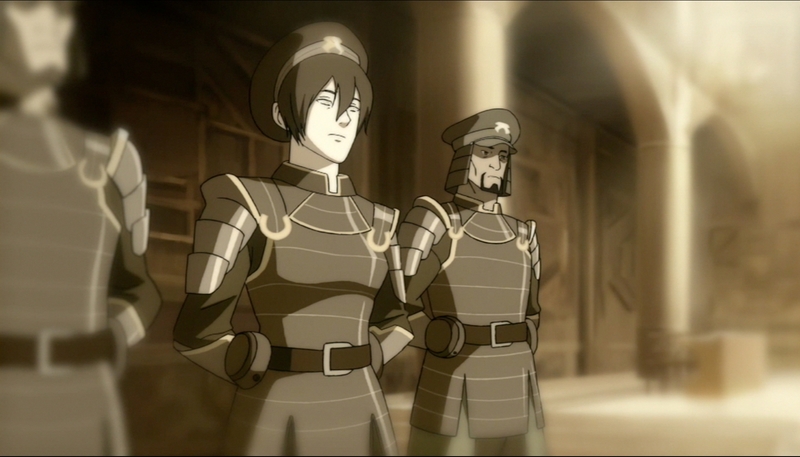 The Revelation: Luckily we don’t have to wait long, as this episode dives headfirst into Mako, Bolin and just how dirt poor the two orphans and the Avatar are. If they can’t make some money quickly, then they can’t make it into the Pro-Bending Championship. Mako of course tries to get a legitimate job, while Bolin decides to hit the streets with Pabu in order to make some spare cash. A move that eventually leads to him getting roped into working for one of the local gangs in order to make some cash. 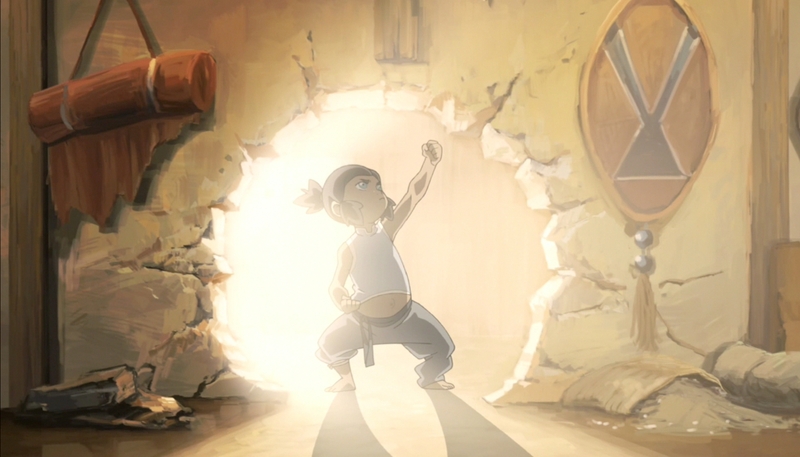 Of course once he’s missing Mako and Korra strike out to look for him, a move that gives us not only some great moments for Korra (like when she decides the best way into a local gang’s headquarters is to just kick their door down) but also one of the coolest chase/fight scenes on Television. With Equalist Chi-Blockers easily taking out both Korra and Mako in the streets after pulling off some pretty sick moves on some motor bikes. As our first introduction to Chi-Blockers in this series, this episode does well to present them as legitimate and potentially lethal enemies. 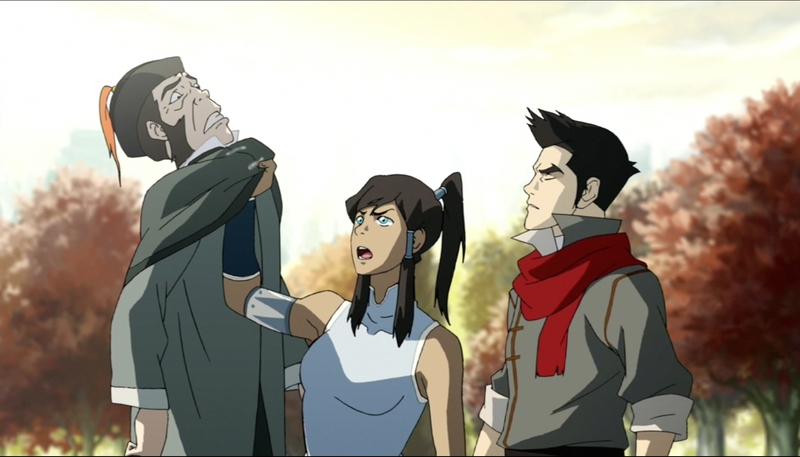 Korra and Mako are clearly outmatched, and are only saved by the timely intervention of Naga (and Pabu!). Having lost their lead and still on the search of the kidnapped Bolin, Korra and Mako strike out to see if they can learn anything about where the Equalists might be keeping him. This leads to not only a classic “oh look these two might have a thing for each other” moment, but also yet another shining example of just how different Korra is from Aang. Being a pacifist, i seriously doubt Aang would have simply walked up to a harmless guy with a speakerphone, earth bended his table 20 feet into the air and then grabbed him by the collar and interrogated him for answers. It’s kind of hard not to feel at least a little bad for the Equalist supporter in this situation, as he didn’t really do anything to deserve that kind of treatment. In fact as far as we know he didn’t even know where Amon and the Equalists were gathering and he was simply bullied in the streets for little more than having an opinion. It’s scenes like this that really help drive home the point that the Equalists, despite clearly being “the bad guys” in the show, may not really be all the way in the wrong with their beliefs. 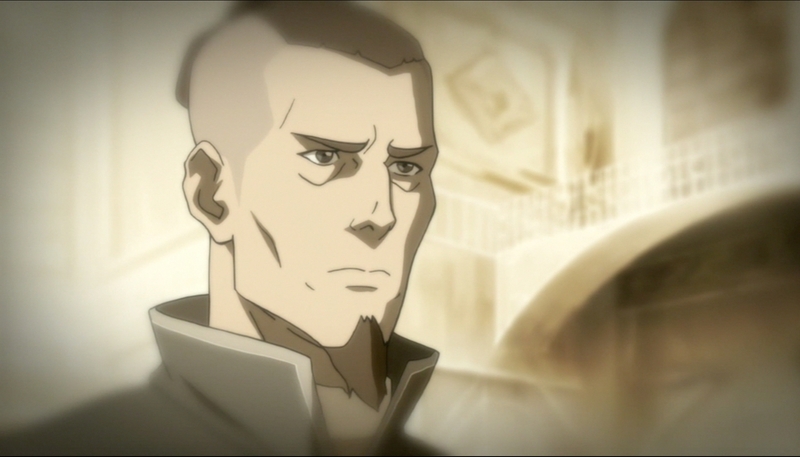 After all, all of us viewers would be in the same camp as the non-benders if we lived in Republic City, and I doubt any of us would like to be treated like that. 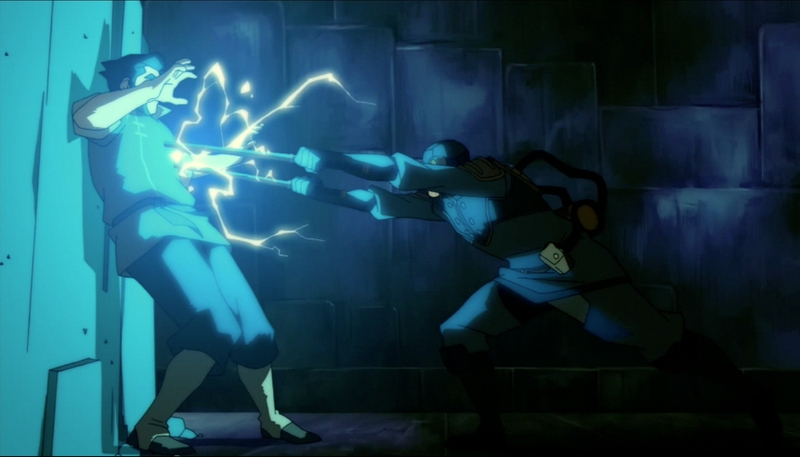 All of this pales in comparison though, to the reveal that Amon can strip a bender of their ability to bend. 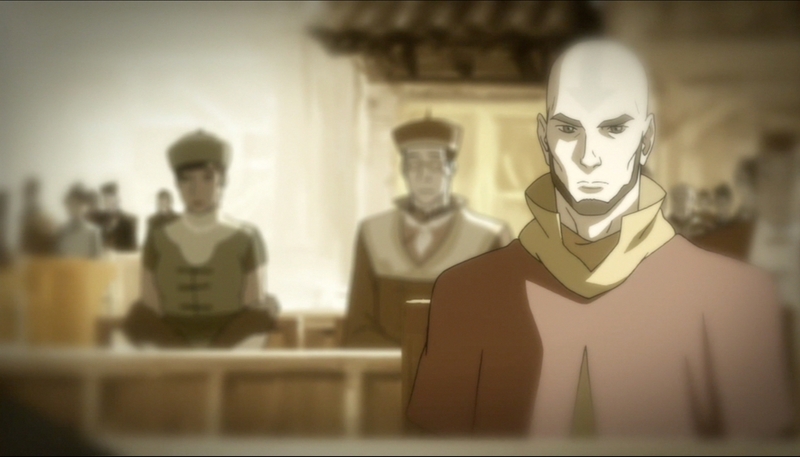 A power only ever wielded by Avatar Aang in the past, this raises MANY questions as to exactly how Amon can do this and what that means for the world of Korra. After all if his claim is true and the spirits truly did bestow him the ability, then one must wonder if maybe the Spirit World has finally had enough with mankind and its industrialization and decided to strip mankind of their ability to bend using Amon as their Avatar for vengeance. The Voice in the Night: Sure enough, Korra isn’t handling Amon’s revelation very well. Plagued by nightmares and the gnawing fear of losing the one thing she’s always been so good at (her bending) Korra does her best to hide and avoid dealing with Amon and his Equalists. And who can blame her? Not only could he strip of her of her own personal power, but the potential ramifications of her losing her bending could very well destroy the Avatar cycle and permanently throw off the balance of the entire world forever should she fail. No pressure. 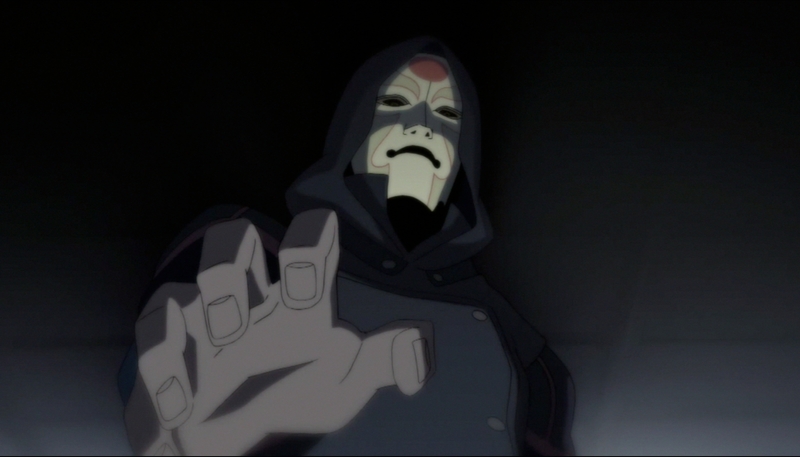 Of course Korra doesn’t really have a chance to avoid dealing with her fear because she is soon asked to join a task-force designed to hunt down and put a stop to Amon. She declines, much to the surprise of Tenzin, and ends up being showered in gifts and bribes in an attempt to get her to join. Yet she continues to refuse. Eventually though, Korra gives in. But only after being tricked and pressured by the press at a party hosted in her honor. This is one of those situations where, yet again, her headstrong nature and inability to turn down a fight get the young Korra into more trouble than she’d like. 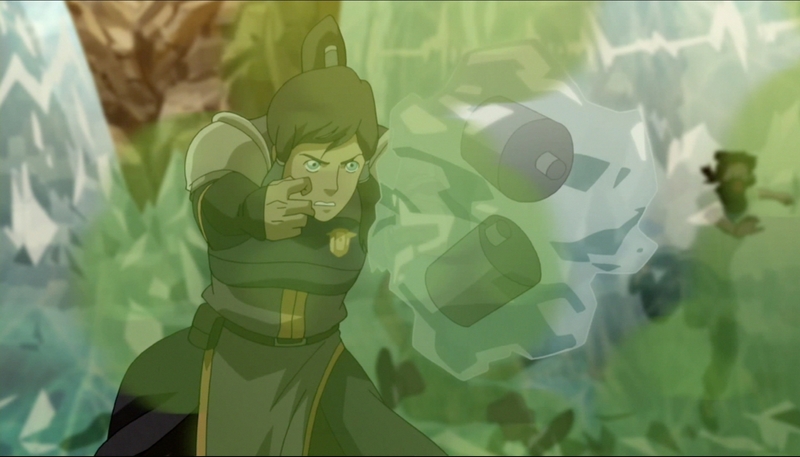 It’s scenes like these that help show just how inexperienced Korra still is. Sure she has mastered three of the four elements and is older than Aang was at the time of Last Airbender, but she still has a LONG way to go before she is the Avatar she needs to be. And so Korra joins the task-force and helps take out a Chi-Blocking training facility in yet another awesome action sequences. The talent and skill of the animators continue to amaze me as the episodes go on. Each fight scene continues to impress me for both how fluid and quick it is, as well as how wonderful the “camera” shows it all. Gone are the days of quick cuts and close-ups to hide the characters as they fight each other, The Legend of Korra isn’t afraid to just pull back and let the characters move with all the grace and speed that you’d expect real benders and martial artists to have. This show is a perfect example of how fight scenes can and should be done in animation. Anyway, lets talk about what was going on with some of the other characters this episode. 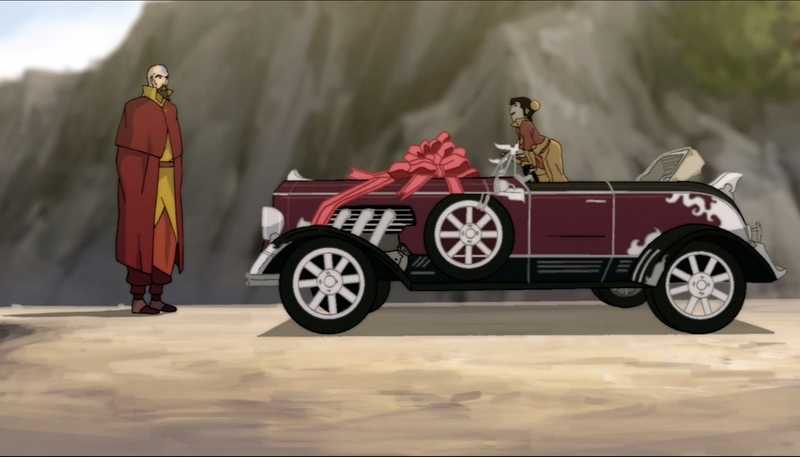 Bolin is still hanging onto the hope that he can hook up with Korra (Sorry buddy, but I don’t think that’s going to happen) and Mako gets hits by a scooter being driven by none other than Asami Sato, the daughter of Hiroshi Sato, creator of the Sato mobile. One might expect Mako to be mad about being hit by a scooter, but, you know, somehow he got over it… And who can blame him? 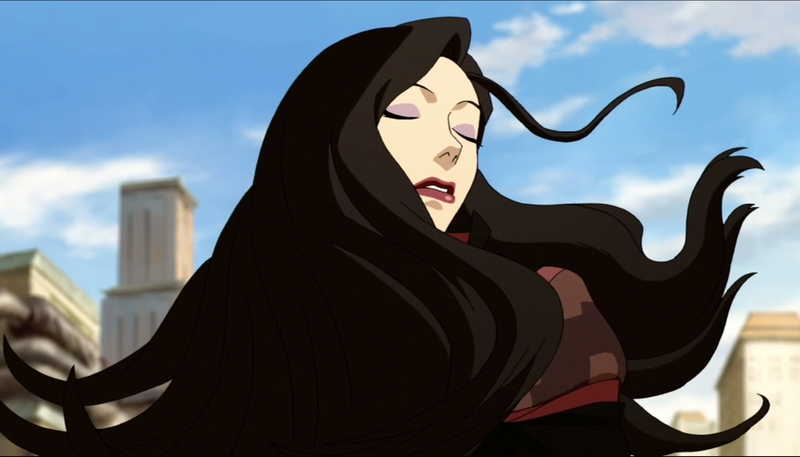 Ladies and Gentlemen, Ms. Asami Sato! Especially when Asami’s father decides to fund the Fire Ferrets and sponsor them for the upcoming Championship, a move that will no doubt keep the two of them (especially Asami) in close contact with our main characters for episodes to come. This leads to a rather interesting twist to what many of us fans thought might be a simple love triangle between Korra and the fire Ferret brothers, as Asami quickly steals Mako’s hearts and elicits a least a few glances of jealousy from Korra when she meets her. What Asami’s role will be in episodes to come remains one of my biggest questions though. Does she really have feelings for Mako? He is rather handsome after all. Or is there some sort of ulterior motive at work here? Guess we’ll just have to wait and see. 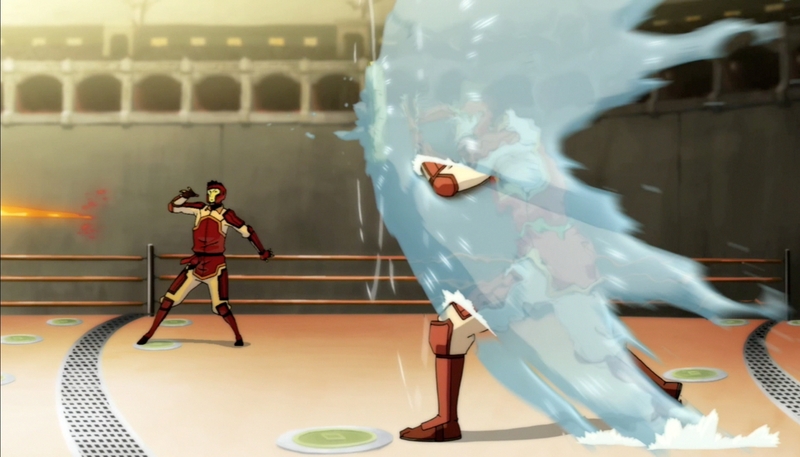 And although it didn’t have any immediate barring on the episode, let me just take a minute to GEEK THE HECK OUT over the flash-backs we got when Korra was knocked out! An older Sokka and Toph? An older Aang flying around and being a BA? Many of us fans from the last series had hoped to get something like this, and if this episodes little teaser is a sign of things to come then I think we’ll all be VERY happy. So let’s hear it folks! What did you think of this months episodes of Legend of Korra? Did Amon feel like a very real threat? Is the young Ms. Sato up to no good? 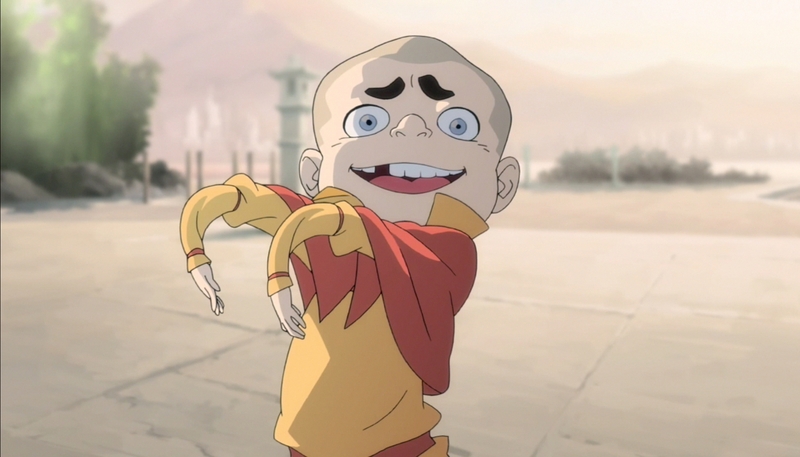 Is Meelo secretly a noodle monster?! Sound off in our comment section bellow! If you don’t want to bother making an account, don’t! Just post as a guest and voice your thoughts. I don’t know about you, but I’m excited to see what lies in store for us in episodes to come!